Right now they’re looking at using the basic descriptions of EU characters with different names. Luke’s wife will follow the same template as Shira Brie/Mara Jade. Red hair, Green eyes, attitude etc. The same with the kids of the big three. 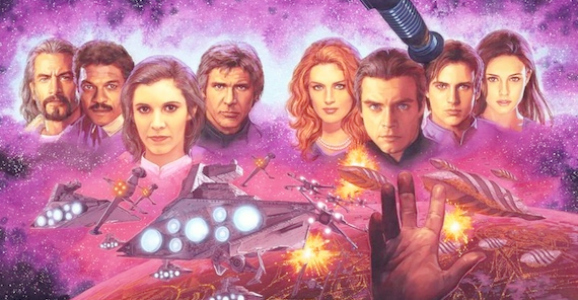 […] Jaina will be the inspiration for the Solo daughter, Jacen for the Solo son and Ben for the Skywalker son. Most of the new characters in the new continuity are based on characters from the old continuity. Fans should not expect to see Kyle Katarn, Corran Horn or Cilghal, but characters who are very much like them. 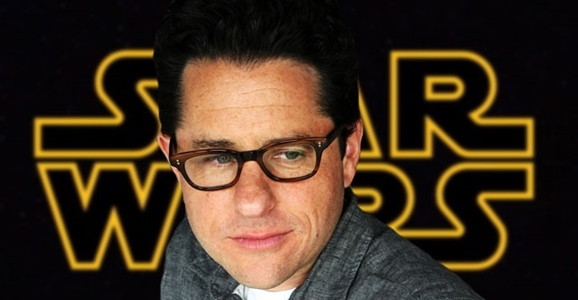 This spring, J.J. Abrams and team will pack up their gear and move to London to begin production on Star Wars: Episode VII. Abrams is notorious for his “mystery box” brand of storytelling, with his films focusing on secrets such as the Rabbit’s Foot from Mission: Impossible III, the monster from Super 8, and Khan in Star Trek Into Darkness. Now that he’s taking over the Star Wars universe, so there’s no question he’s got a big challenge ahead when it comes to keeping the movie’s secrets from leaking out. When Disney announced that a new animated series called Star Wars: Rebels was going to kick-off a new era of Lucasfilm, fans were excited to return to explore the Star Wars in the years leading up to A New Hope. Rebels takes place between Revenge of the Sith and A New Hope, with the Galactic Empire expanding its evil reach to the outer rim planets. 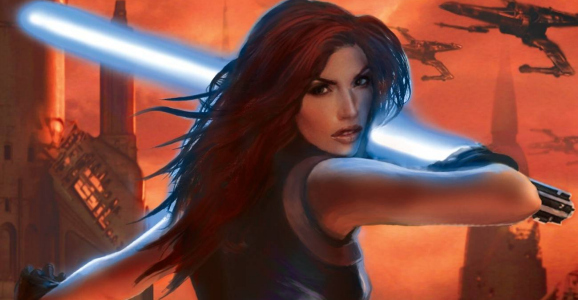 Now rumor has it that a beloved character from the Star Wars Expanded Universe will be popping up in Rebels: Mara Jade. According to StarWars7News.com, Star Wars Expanded Universe fan-favorite Mara Jade will be introduced in the animated series. Moreover, her introduction in the toon will pave the way for her introduction in Star Wars: Episode VII, which, according to the site, will take place in the year 30 ABY (After the Battle of Yavin), three decades after A New Hope. Mara Jade was at one time a special agent for Emperor Palpatine, a smuggler, and then later a Jedi Master who sat upon the Jedi High Council. 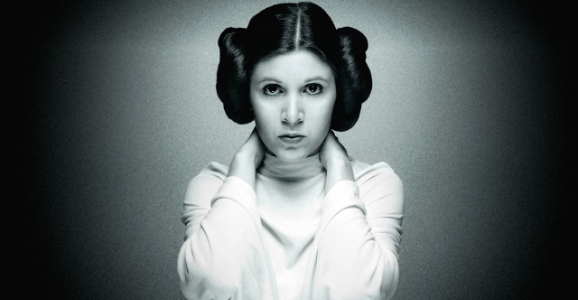 She also later married Luke Skywalker…after she tried to assassinate him. Mara Jade is the mother of Ben Skywalker, Luke’s son, who rumors suggest may be played by Breaking Bad’s Jesse Plemons. While production on Star Wars: Episode VII is set to start sometime this spring, J.J. Abrams and Kathleen Kennedy have yet to announce who will star in the new blockbuster. Considering that Episode VII is picking up the story some time after Return of the Jedi, it’s expected that Mark Hamill, Harrison Ford, and Carrie Fisher will return to the “galaxy far, far away,” but until Disney makes it official, it’s still just a casting rumor. That being said, one of the original trilogy’s stars has been very open in discussing the next Star Wars movie. Now that new Star Wars movies have been officially announced, and the fact that between Episode VII and the stand-alone films we’ll always have at least one new movie in the works for years to come, it’s hard to imagine a time when we won’t be waist deep in rumors about the galaxy far, far away. They’ve certainly been swirling fast and furious lately, with talk of a Boba Fett movie, and reports that Breaking Bad’s Jesse Plemons is up for the part that could be Luke Skywalker’s son. Episode VII director J.J. Abrams is known for playing things close to the vest with his movies, but he recently opened up, slightly, about some of the news surrounding his latest venture. Abrams says that the Episode VII script is finished, which is good news. After Toy Story 3 writer Michael Arndt spent months working on the screenplay for the next Star Wars film, this past October it was announced that Abrams and Lawrence Kasdan would be taking over writing duties. Kasdan co-wrote The Empire Strikes Back and Return of the Jedi, so his involvement is definitely promising. Recent rumors suggest that Arndt’s take on Episode VII was focused mainly on the offspring of Han and Leia, whereas Abrams and Kasdan shifted the focus back to Luke and his son, which would mean a larger role for Mark Hamill. Time will tell. Most people for get that Lucasfilm is a worldwide production studio with outlets and locations all around the planet. 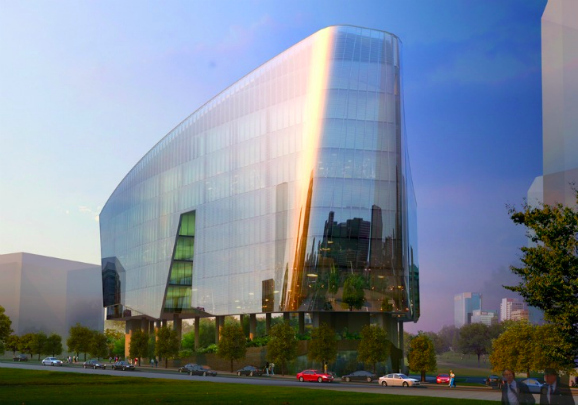 Recently, George Lucas’ former company opened a new office building in Singapore, which will be the new location for special effects artists for Lucasfilm, Disney, and Marvel in Southeast Asia. It’s good to see Disney’s acquisition of Lucasfilm payoff, in terms of expansion and employment. Lucas and Lucasfilm president Kathleen Kennedy made the journey to Singapore to commemorate the opening of the new eight-storey building, which is awesomely shaped and designed as the Sandcrawler from the original Star Wars, and it looks phenomenal. Imagine walking down the street in a busy city, and turning the corner only to see a giant Sandcrawler made out of glass looming in front of you. It’s a clever design and will surely become a destination for Star Wars fans around the world. Kennedy also took the opportunity to expound on the future of the franchise.